F1 heiress Petra Ecclestone is reeling after £500,000 worth of jewellery was stolen from her £32million mansion - after it was viewed by a fake 'Kazakh millionaire', MailOnline can reveal today. 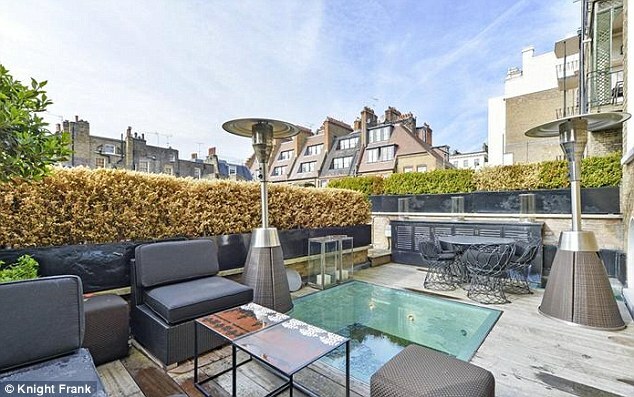 The 24-year-old blonde, who is the daughter of Formula 1 billionaire Bernie Ecclestone, has put her home in London's Belgravia on the market - but was stunned to discover the disappearance of diamond earrings and a diamond Rolex watch following a viewing. Petra, a married mother-of-one, has been staying in London for the summer with her baby daughter Lavinia and her husband James Stunt. 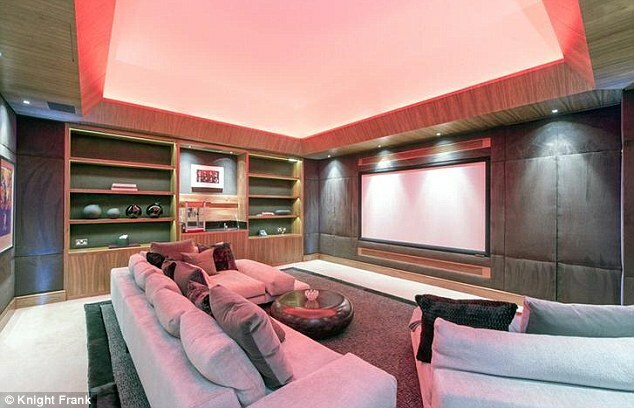 Both Ecclestone sisters have their homes up for sale. 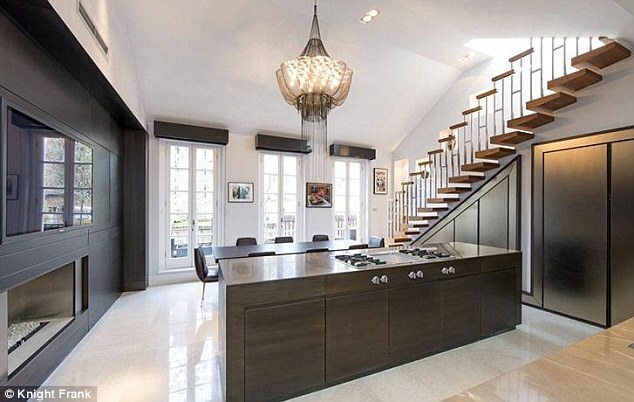 Tamara, 29, has also listed her house in Chelsea, West London, for £19.75 million after moving into a new home with her husband Jay Rutland that she bought for £45 million in Kensington Palace Gardens in 2011, and the property has not been lived in for some time. Estate agents have reported in the past few months that a suspicious man calling himself Oleg who wears sunglasses - has viewed several other multi-million dollar properties in the area. It is understood Oleg is not his real name. Police were NOT called as Petra was worried about a media leak- and she is not claiming for the theft on insurance. Meanwhile, all household staff were immediately checked by security, but found to be clean. In an interview in Grazia magazine in January 2011, where she posed sprawling in her London home, Petra showed off a picture of Raquel Welch on a cross taken by Terry O'Neill and it was reported that she had a collection of Rolex watches. She was said to own seven, at an average cost of £20,000 each, at the time. 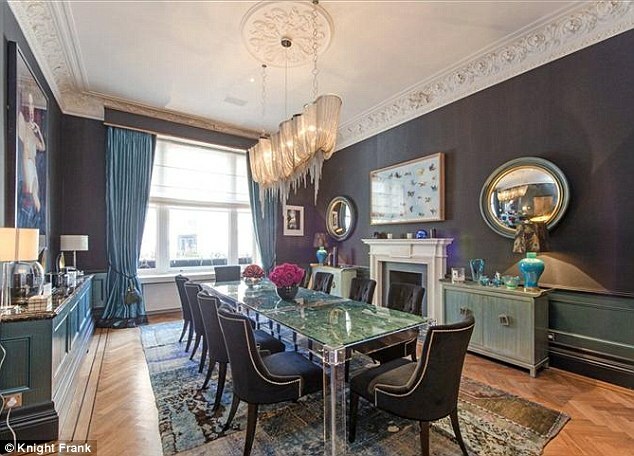 The house also features artwork by Damien Hirst. 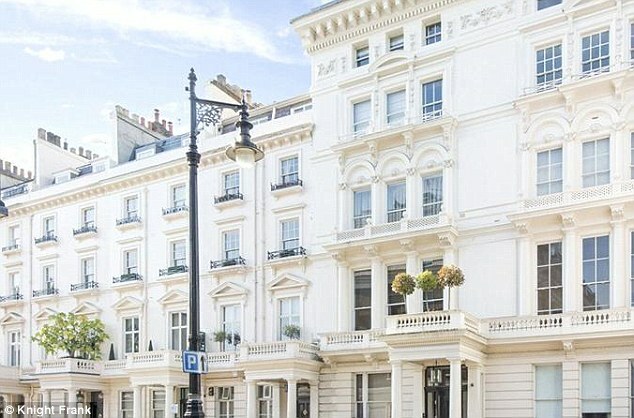 Another broker who sells some of London's most expensive homes in Belgravia told MailOnline he had been informed about a man claiming to be called 'Oleg'. The property agent said 'Oleg' had turned up in a chauffer-driven Bentley, but his accent sounded fake' and he never removed his sunglasses. 'He wanted to see a very expensive house through me and the owner was in town, so they weren't doing viewings, but a colleague of mine, who works at a top firm, said this guy had approached him and said he only wanted to look at lived in properties and that immediately made him suspicious, said the broker. Discussing the Ecclestone theft, the broker added: 'Subsequently, I heard he had been shown around a house in Belgravia and swiped jewellery.